More power at your command with less noise. Unlimited blade life. 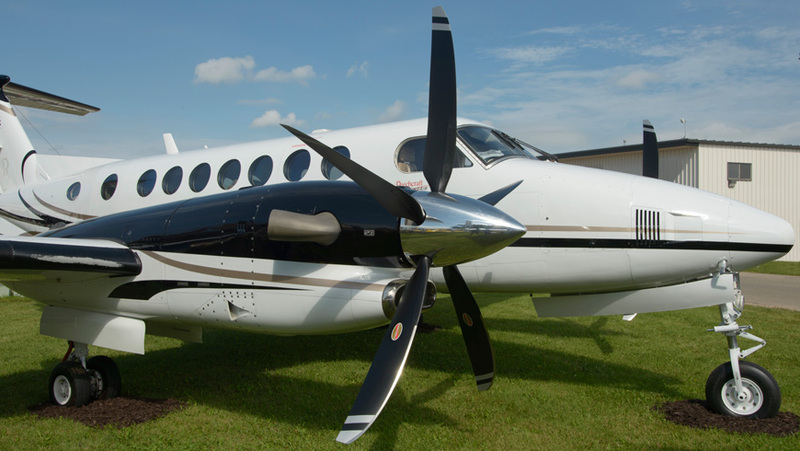 Once again, the collaboration between Raisbeck Engineering and Hartzell Propeller—the world’s leading propeller manufacturer—has resulted in one of the most efficient, quiet and exciting offerings for King Air 350/300 owners: the Composite 5-Blade Swept Propeller. The new Raisbeck/Hartzell propeller blades are composed of a metal blade shank retention section onto which is molded a low-density foam core that supports built-up layers of composite laminate. Nickel cobalt leading edges project against foreign object damage (FOD). Overall diameter of the propeller is 106 inches. Beyond the inherent weight savings over other materials, composite blades provide unlimited blade life with the ability to maintain its optimum airfoil shape over time. All but the most catastrophic damage to composite blades can be repaired and returned to service without affecting the airfoil shape. Moreover, the tailored airfoils extend fully into the spinner, which increases both prop efficiency and airflow into the engine. 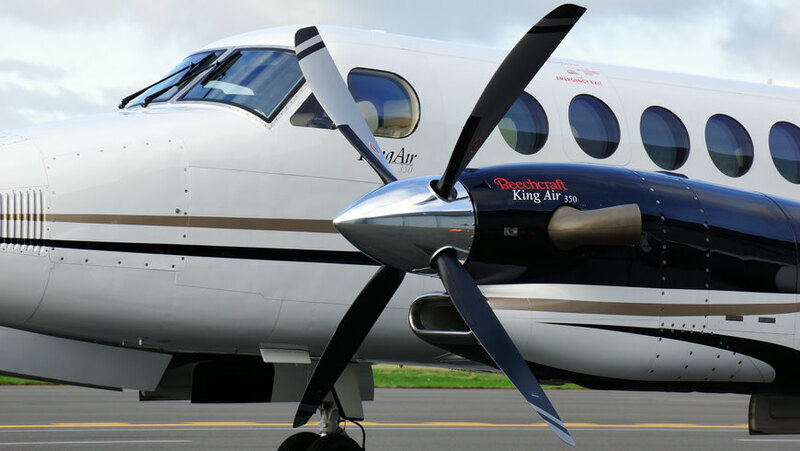 Once again, the collaboration between Raisbeck Engineering and Hartzell Propeller—the world’s leading propeller manufacturer—has resulted in one of the most efficient, quiet and exciting offerings for King Air 350 owners: the Composite 5-Blade Swept Propeller. More thrust. Less noise. Stunning ramp appeal. Raisbeck’s Swept Technology allows the propeller diameter to be increased, generating more thrust without increasing noise. Unlike other aviation propellers that appear to be swept, Raisbeck’s unique blade design sweeps not only the leading edge but also the trailing edge. While larger diameters increase blade tip Mach numbers, which in turn add undesirable drag and noise, introducing blade sweep overcomes these drawbacks. Moreover, the tailored airfoils extend fully into the spinner, which increases both prop efficiency and airflow into the engine. 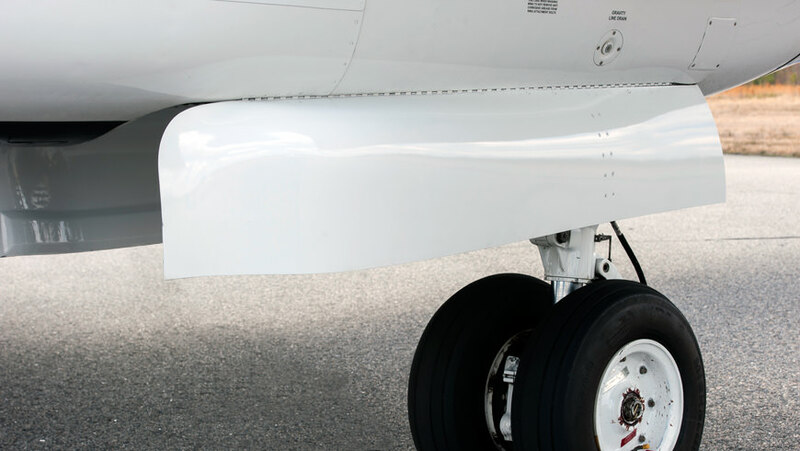 Manufactured by Hartzell Propeller—the world’s leading propeller manufacturer—,the blades are high strength aluminum forgings, field-proven over millions of flight hours and offered at a lower initial cost than our Composite 5-Blade Swept Propeller. Overall diameter of the propeller is 105 inches. 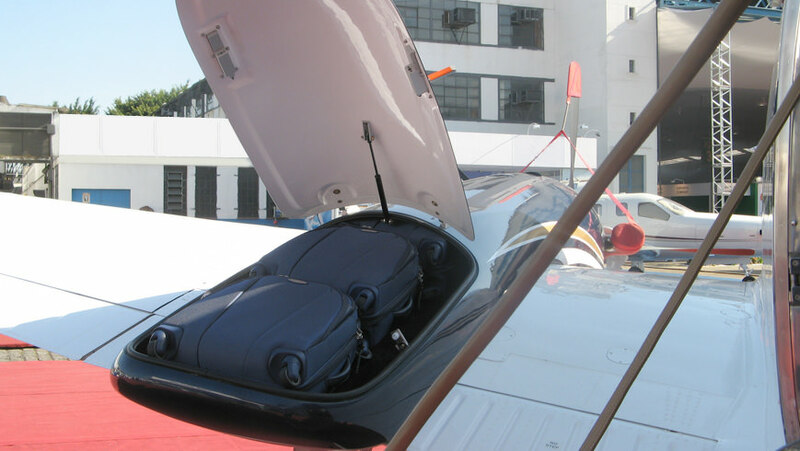 Raisbeck’s Dual Aft Body Strakes improve directional stability, passenger ride quality, pilot control and aircraft handling characteristics, and climb and cruise performance. Factory-installed on all new King Air 350s, Raisbeck Dual Aft Body Strakes are The New Standard—plus, they will give your King Air 350/300 a fresh, modern appearance. Raisbeck’s Crown Wing Lockers give you the extra, secure storage you need outside the cabin, with no performance penalty. The Lockers can accommodate skis, snowboards, camping/hunting/fishing gear and other long items that can’t be legally carried inside the cabin. 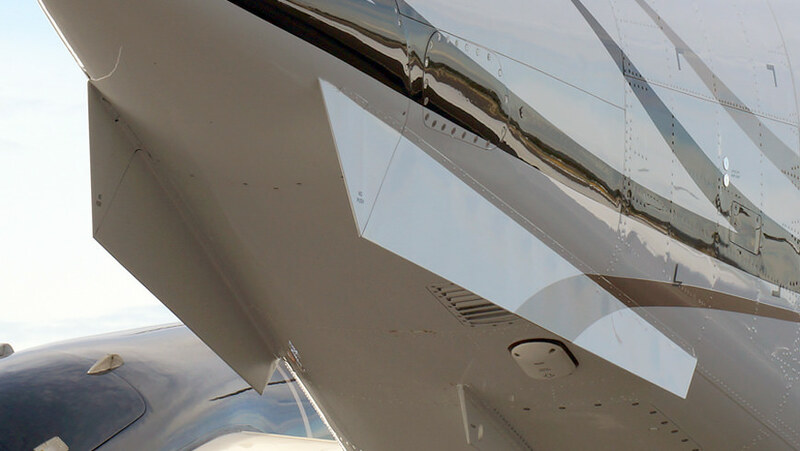 Crown Doors are also available for retrofit on previously installed Nacelle Wing Lockers.